Arashiyama "Storm Mountain" is a pleasant touristy district in the far west of Kyoto, tucked along the base of the Arashiyama Mountains. 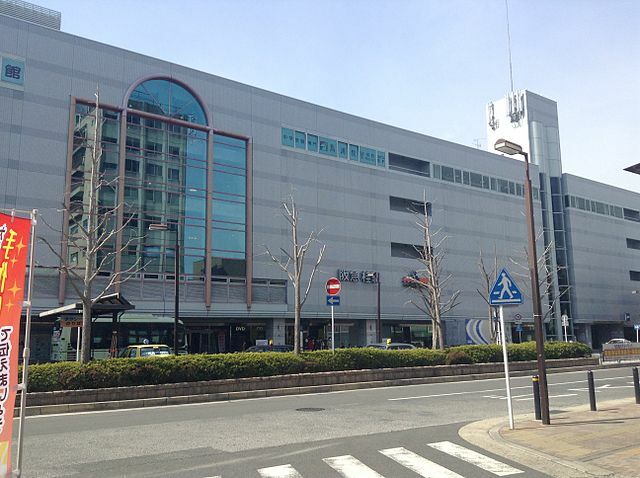 It is a 30 minutes trip from the center of the city whether you go by train, bus or bicycle. There is a 3-vehiculer sightseeing plan that you can choose from to start your day of adventure around Arashiyama. First is the rickshaw ride through the bamboo forest to the World Heritage Site Tenryu-ji Temple. The second is the spectacular scenery on view from the Sagano Romantic Train. It crosses a railroad bridge at one point，giving you a magnificent view regardless of where you are seated. 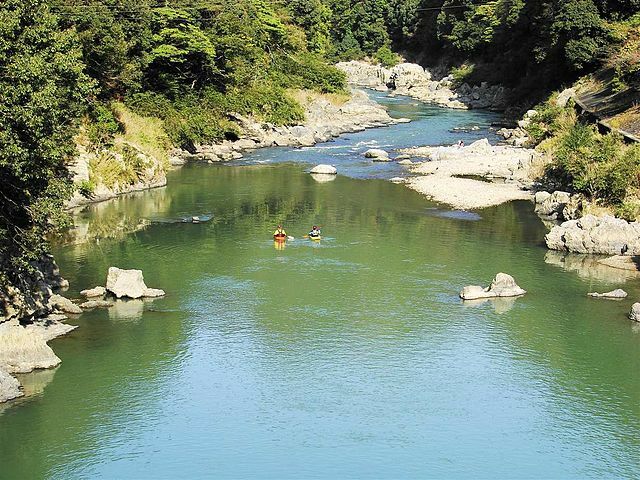 The Hozu river rafting is the third part. 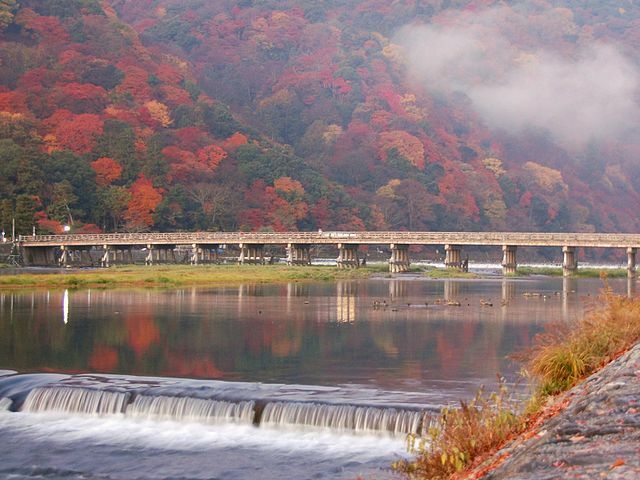 You’ll enjoy the scenery during the 16km downstream ride from Kameoka to Arashiyama. Every December the Arashiyama Hanatuoro "Light and Blossoms Pathway" is held，with light-ups for the narrow bamboo forest path and the Watanabe Bridge. Night-time visits to the temples such as Nison-in and Jojakko-ji Temple are also allowed，and so many people visit at this time of year to see a different side of Arashiyama. Sagano Romantic Train is a scenic ride on a steam train through Arashiyama area taking you as far as Kameoka. 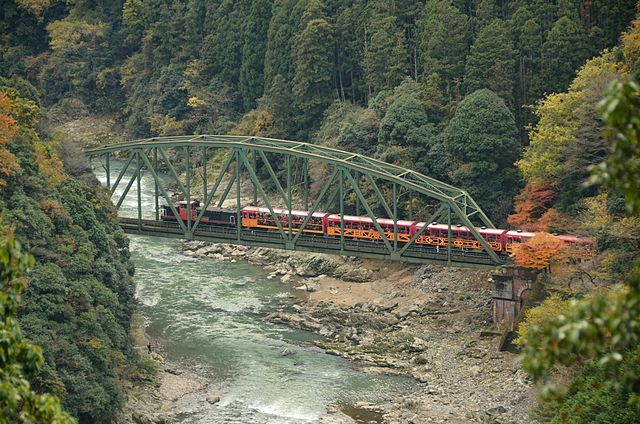 It runs along the Hozu River taking about 25 minutes to make the seven kilometer journey and giving passengers a pleasant view of the scenery as they travel from Arashiyama through the forested ravine and into rural Kameoka. Many people enjoy riding the train to Kameoka and then taking the Hozu River Cruise back to Arashiyama. 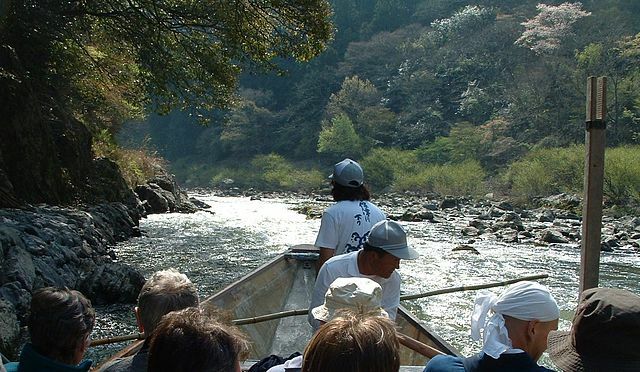 Hozu River Cruises are sightseeing boat rides down the Hozu River from Kameoka to Arashiyama. 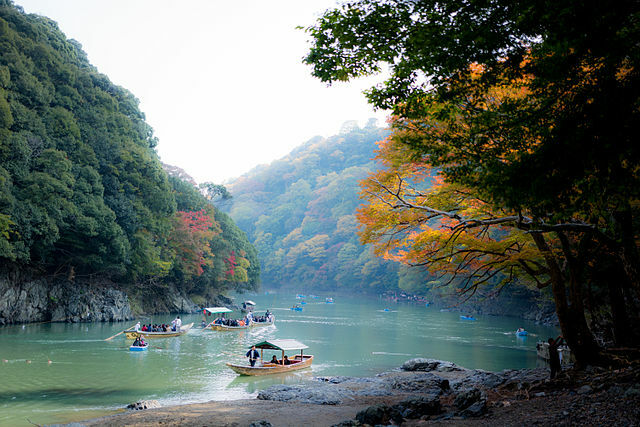 To experience Arashiyama to the fullest, the river cruise is your best bet! A variety of boats, small or large, both rowed and motored, are waiting on either side of the river. Be sure to confirm how far and for how long the trip goes, though. Some are as long as two hours, and others will do a quick turnaround in less than twenty minutes. Be prepared to get splashed and take appropriate precautions for electronic equipment. The drop off point sets you down just outside the entrance to Iwatayama Monkey Park, a great location to begin your stroll around the sights of Arashiyama. The main street of Arashiyama and the famed Togetsu-kyo Bridge are the heart of Arashiyama district. Walk upriver to Monkey Park Iwatayama, or into Tenryu-ji Temple and on into the Bamboo Forest which leads you to Okochi Sanso. Monkey Park Iwatayama is a great place for those looking to get away from the abundance of temples and shrines in the city. 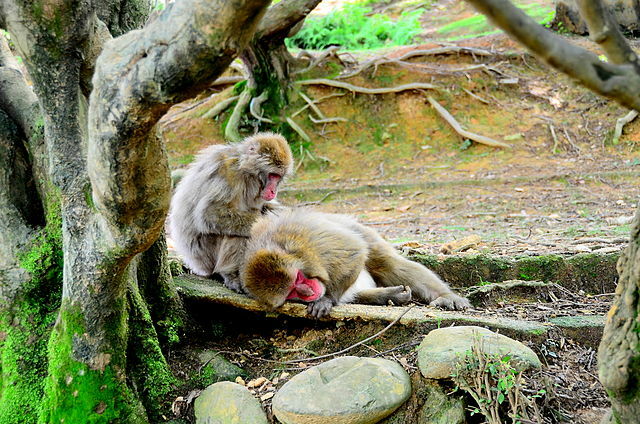 Escape the crowds and mingle with the macaque monkeys at the Arashiyama’s lovely hilltop park. The entrance to the park can be found just south of the Togetsukyo Bridge. After a ten minutes hike uphill, you will find an open area with 170 monkeys roaming freely. The animals are wild but can be fed food purchased at the site. Peanuts are on sale inside the shack on top of the mountain, and the monkeys are well aware of it. 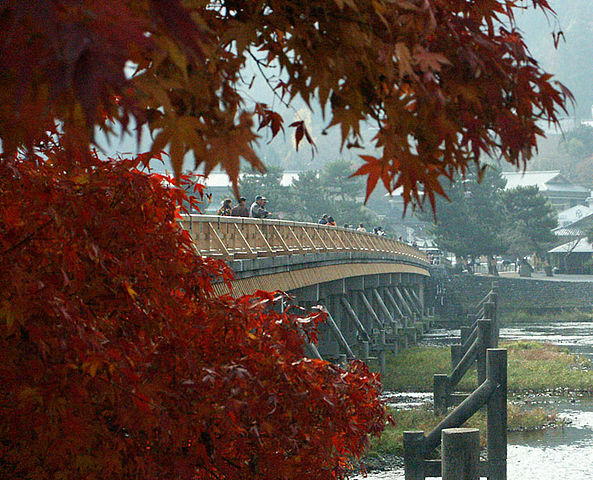 Togetsukyo Bridge has been a landmark in Arashiyama District for over four hundred years. ​The bridge, which rather poetically reads as "Moon Crossing Bridge" in English, was originally built during the Heian Period "794-1185" and most recently reconstructed in the 1930s. 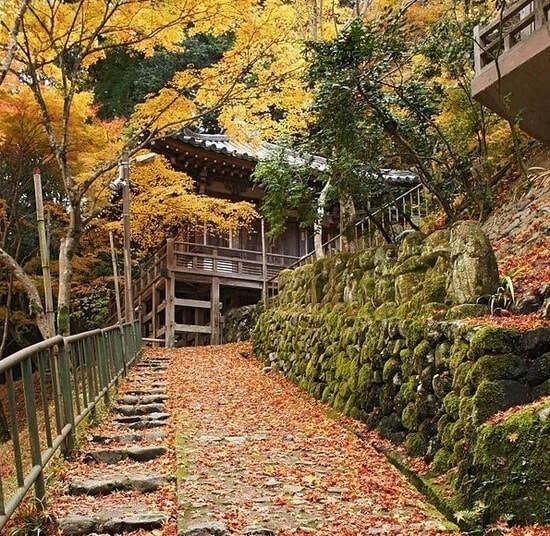 The mountain that gives the area its name is a powerful presence, changing through the seasons; fountains of cherry blossoms in spring, lush and green in summer and a living palette of color, from the most delicate of yellows to deep rust hues, as the leaves change in autumn. 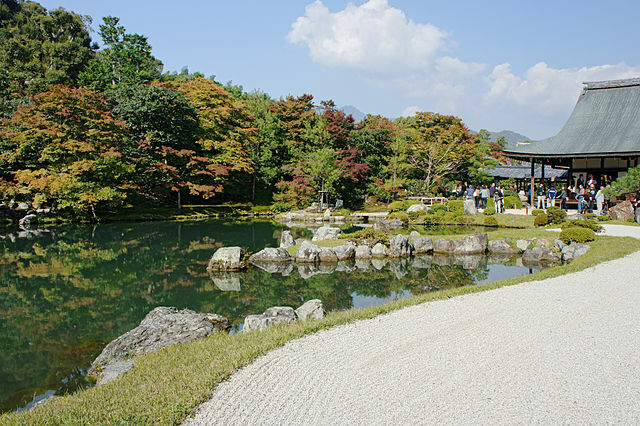 Tenryu-ji a sprawling Zen temple with wonderful mountain views, is one of the Kyoto's Unesco World Heritage Sites. Tenryu-ji is the head temple of the Tenryu branch of Rinzai Zen Buddhism, and also ranked number one among Kyoto's Five Great Zen Temples. The temple was established in 1339 by the shogun Ashikaga Takauji. 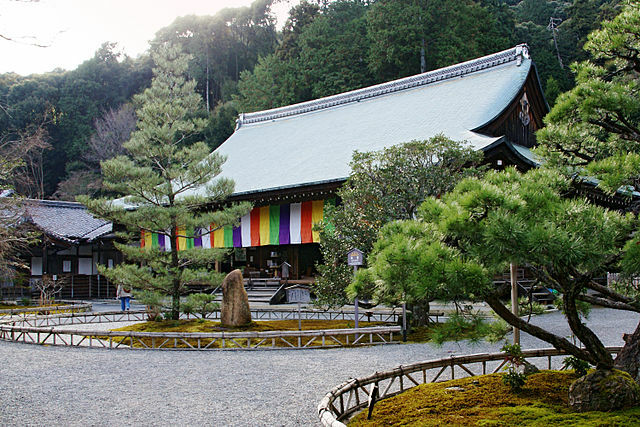 It is the largest and most important temple in Arashiyama district. 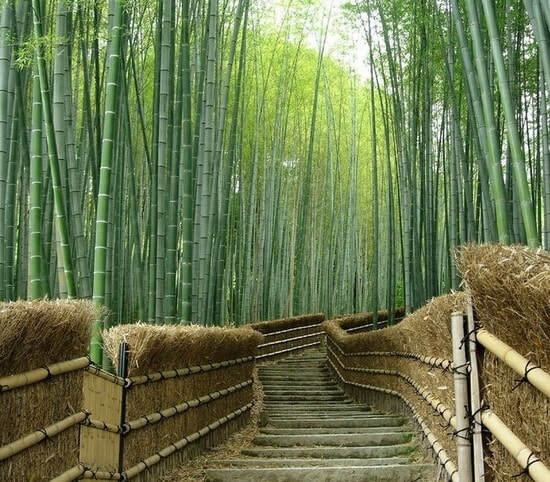 After your walk, make your way slowly uphill and head out the back way and through the Arashiyama’s splendid Bamboo Groves to reach the Okochi Sanso Villa. It is an impressive mountain retreat, previously occupied by Japanese silent screen legend Okochi Denjiro, located in the back of bamboo groves. The grounds have something beautiful to offer each season but are probably at their best during autumn, when the trees explode into fiery shades of red and gold and of course the fine views of the city below. Jojakkoji Temple with small attractive buildings and gates is a quaint temple on the main Arashiyama tourist route that offers a quiet atmosphere. It is a fine spot to sit and gather your thoughts while exploring Arashiyama. 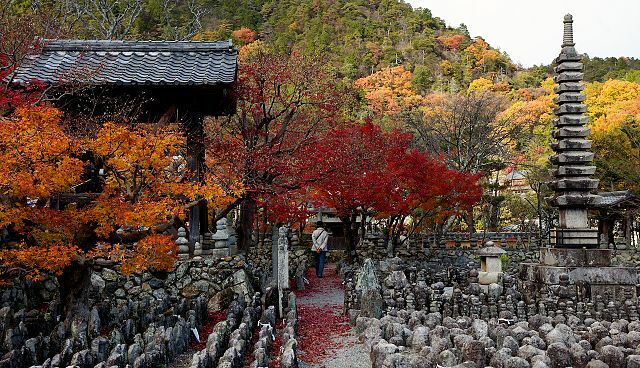 Jojakkoji Temple is quite beautiful in the autumn when the leaves are changing, and the view of the city from just above the pagoda is truly spectacular. Nison-in Temple is a large temple complex that houses two ancient sculptures of Buddha; one of Shakamuni Buddha and the other of Amida Buddha. It also houses the graves of some famous Japanese people. It is a beautiful Tendai Sect Buddhist temple that is best known for its lovely maple- and cherry-lined arcade leading to the main hall. Unless you have interest in visiting one of the graves, the complex seems expensive compared to other temples of the same price with much more interesting sites and history. Gio-ji Temple is even more nestled into the forest than Jojakkoji. 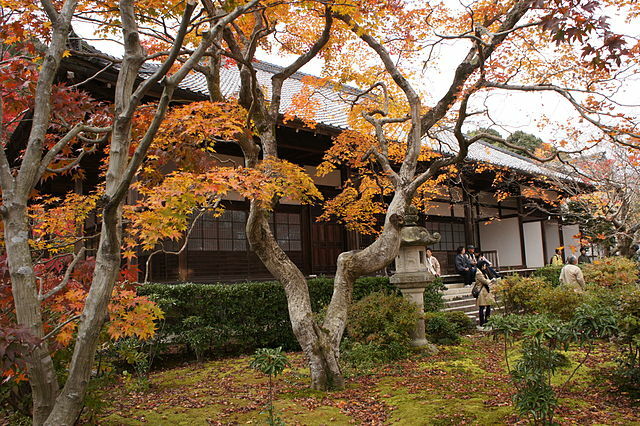 It is a small and quiet temple surrounded by tall maple trees and a vivid bright green moss garden. The trees grow quite densely, and the temple is often covered in deep shade. The thatched-roof main hall is tiny with an attractive round window looking into the garden. 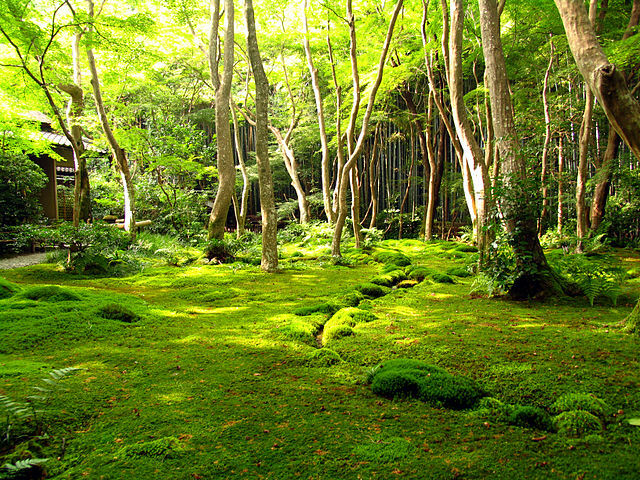 ​Keep in mind that you cannot walk on the moss. You can buy a shared admission ticket for Gio-ji Temple and Daikakuji Temple which cost less than buying them separately. While Daikakuji it is a temple today, originally it was the villa of Emperor Saga. It is well-known by those who practice Ikebana, the Japanese art of flower arranging, as it is the birthplace of Saga Goryu, a school of Ikebana. Often, there are examples of Saga Goryu near the entrance to the temple. The temple itself is reasonably large, with some artwork inside. The view of the Osawa Pond is quite relaxing. ​Adashino Nenbutsu-ji Temple grounds are filled with some 8000 Buddhist statues, each representing an unknown or forgotten person. The famous Priest Kukai established this temple for the purpose of saying prayers for Arashiyama's dead. 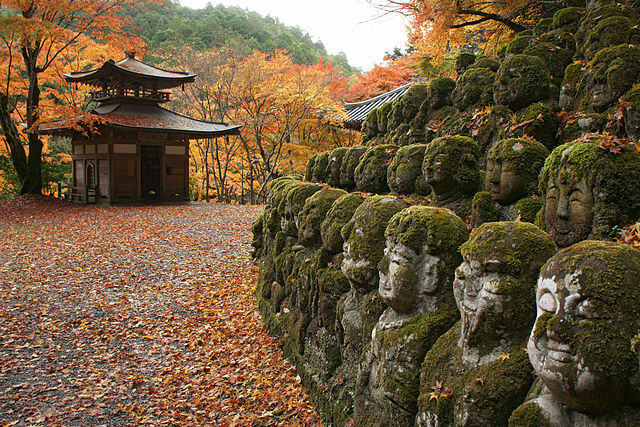 Although it is famous for its statues, just like Otagi Nenbutsu-ji, Adashino Nenbutsu-ji is a spiritual place and a graveyard, so it has greater historical and spiritual significance, as well as impressive and beautiful. If you take a walk through the small bamboo-lined path to the upper area, you'll find actual grave sites instead of the statues in the lower area. There is also an area similar to the purification spots found at most temples however, at this one you are supposed to pour water on each of the statues as you walk around it. This is a form of reverence and worship, and the Japanese who enter "particularly those who come to the upper area" come to pray, so while it may be fun, try also to be respectful. On the evenings of 23 and 24 August, a ceremony is held in which candles are lit throughout the grounds. 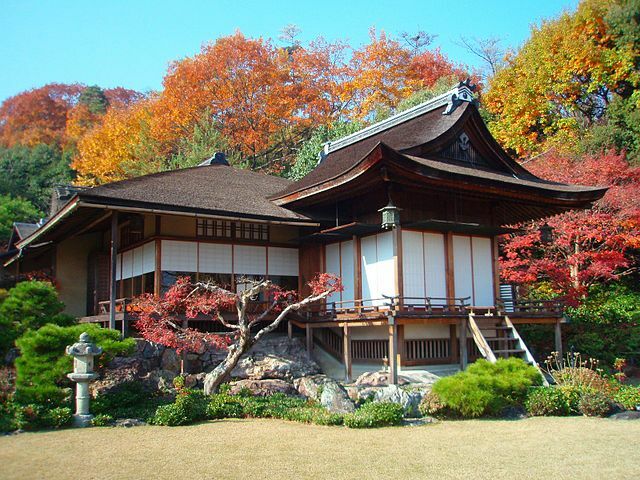 Despite being omitted from virtually all guidebooks, Otagi Nenbutsu-ji Templd is one of the true unknown gems of Kyoto. It was founded in the eighth century, and went through an unlucky patch for a millennium or so; by turns it was destroyed by flood, fire and typhoon, and had to move location a few times. Today, it sits a short distance from the end of Saga Toriimoto, one of Kyoto's three historic preservation districts. Two fierce statues guard the entrance. Once you're through the gate, though, you'll find over 1200 small "knee-to-waist high" statues, each with its own unique character. You'll see a cheerful boxer near the entrance, but you could spend hours checking out the rest, and you'll do it in relative seclusion, since this is well away from the tourist trail. The statues were carved in 1981 by amateurs under the direction of master sculptor Kocho Nishimura. ​Moss and forest have begun to reclaim the area, and if you've ever wondered what Angkor Wat would look like crossed with Japanese kawaii, this is your chance. By Train - The local JR Sagano Line "also known as San'in Main Line" departs from Kyoto Station and stops at a number of stations in the northwest part of the city, including Saga-arashiyama "a good starting point for exploring the Arashiyama area". 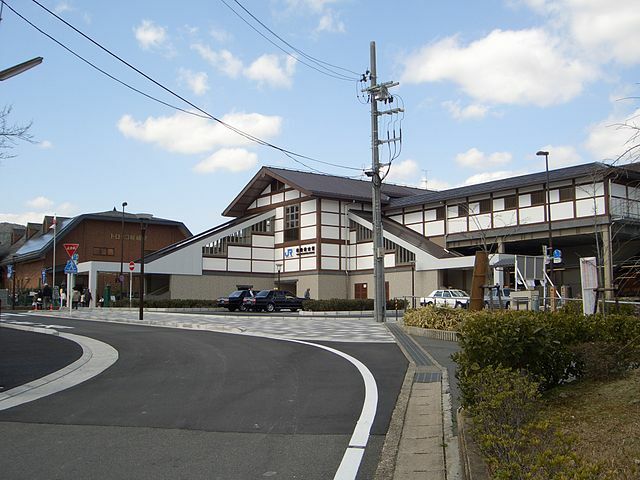 Both local and rapid service stops at Saga-arashiyama, but limited express does not. Arashiyama can also be accessed by the Hankyu Arashiyama Line, which branches off from the Hankyu Kyoto Main Line at Katsura Station. The Randen Tram Line, Kyoto's only surviving streetcar, ends at Arashiyama Station, directly in the heart of the area. The main line runs from the central city at Shijo-Omiya Station, while the Kitano branch line travels to Hakubaicho, serving several sites in the Northern city. By Subway - Although the municipal subway system doesn't serve Arashiyama directly, travelers coming from other parts of the city "especially Central and Higashiyama" can use the Tozai Line as far west as Nijo Station, where they can transfer to JR trains running on the JR Sagano Line "San'in Main Line". 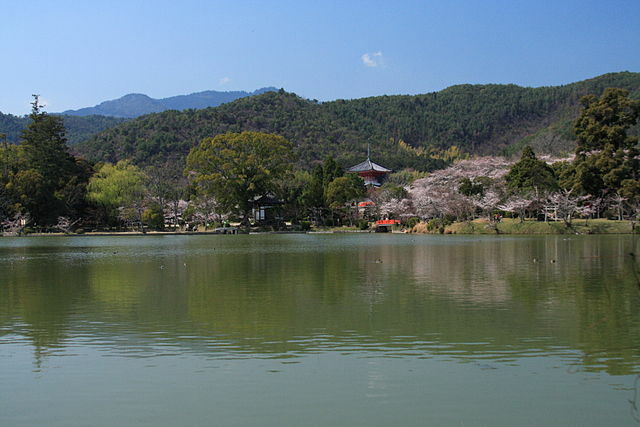 By Bus - Bus 11, 28, and 93 will get you to the Arashiyama area. The 91 Bus will take you to Daikaku-ji.